Flying to Europe? A long layover in London is a distinct possibility. Unless you're doomed to sit at the airport because of visa issues or have just-enough-time to do nothing, consider a quick trip into Central London on the Paddington Express (allow 30 minutes for the long walk within the airport and then 15 minutes on the train) and by jove, you've made it to the heart of the city. 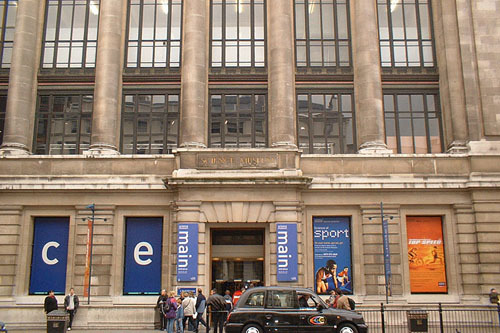 Four of London's most popular museums and attractions are a short cab or tube ride away. While you are in the neighborhood, reward yourself with an ample high tea at Harrods before heading back to the airport. You'll need about 6 hours to visit a museum and relax at Harrods. According to Henry James: "There are few hours in life more agreeable than the hour dedicated to the ceremony known as afternoon tea." We concur. Delicate sandwiches of ham, cream cheese and cucumber, and potted salmon; scones with strawberry jam and clotted cream; a variety of small pastries and of course, an excellent pot of tea compose this afternoon tradition. While only the most expensive places require patrons to dress for tea, it is fun to dress up anyway. Some of the best places for traditional afternoon tea are the main hotels--Savoy, Ritz, Brown's, The Langham as well as Harrod's department store. Any of the museums offer a casual and cheaper alternative, perhaps just a plate of scones and a pot of tea. 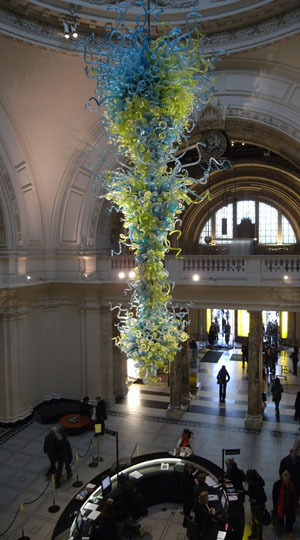 The Victoria and Albert museum offers a self service afternoon tea in one of the magnificent William Morris rooms, or in the lovely courtyard. 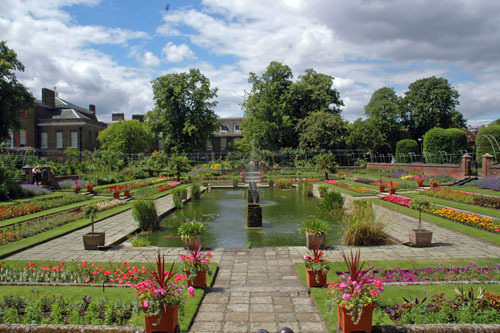 Take a break from sightseeing and enjoy this elegant and civilized period of relaxation all over London. No dry, crusty lectures here: interactive elements, contemporary themes and a sense of humor reign, especially at the Science Museum. Ogle Eskimo fire drills, the world's first airmail stamp and the original "Big Ben" bell. The 300,000-strong collection best highlights artifacts from medicine and the Industrial Revolution. Launchpad is a special section designed for hands-on brains-on exploration geared for kids aged 8-14 years. From firm favourites to world firsts, Launchpad is packed with over 50 interactive exhibits, plus electrifying shows and lively demos, all from the wonderful world of physics. 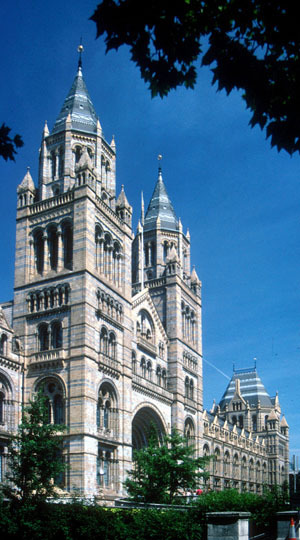 Free admission offers a break for families reeling from London prices and its proximity to two other major museums (Natural History and the Victoria and Albert museum) allow the young and restless to flit from one venue to the other without parents paying the price. Special exhibits and the IMAX theatre are extra, but plan ahead for special 2 for 1 offers and discounts online. Senior Price: 14 £ (13.1 USD), Over 60 with I.D. Student Price: 14 £ (13.1 USD), Show valid I.D. 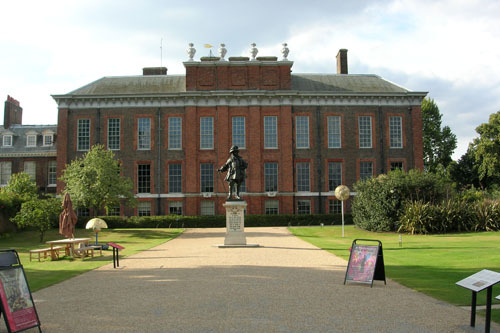 Best known as the birthplace of Queen Victoria and the home of Princess Diana, Kensington Palace, designed by renowned architect Sir Christopher Wren, offers a manageable visit without overdosing on period art, furniture and costumes. Princess Di fans will enjoy the exhibit of her outfits. Enjoy the free walk through the grounds of the Italianate gardens, pausing to admire the sculpture of England's longest reigning monarch, Queen Victoria. Not to be missed is the statue of Peter Pan in the gardens, as well as the Orangery, a high ceilinged and beautiful, if expensive, venue for afternoon tea.